The 2017 Fiji International will further expand its worldwide reach following a landmark agreement to include the Asian Tour as a new tri-sanctioning partner alongside the ISPS HANDA PGA Tour of Australasia and the European Tour. A total of 30 players from the Asian Tour, which is the official sanctioning body for professional golf in the region, will feature in next month’s tournament at the picturesque Natadola Bay Championship Golf Course, from August 17-20. This announcement is poised to further enhance the stature of the Fiji International, which was inaugurated in 2014, while also widening the live broadcast reach across the Asian region via the Asian Tour’s impressive television platform. “The Fiji International is the region’s largest international sporting event that provides Fiji the golden opportunity to further expand its horizons onto the world stage,” said Minister for Industry, Trade, Tourism, Lands and Mineral Resources, Faiyaz Koya. 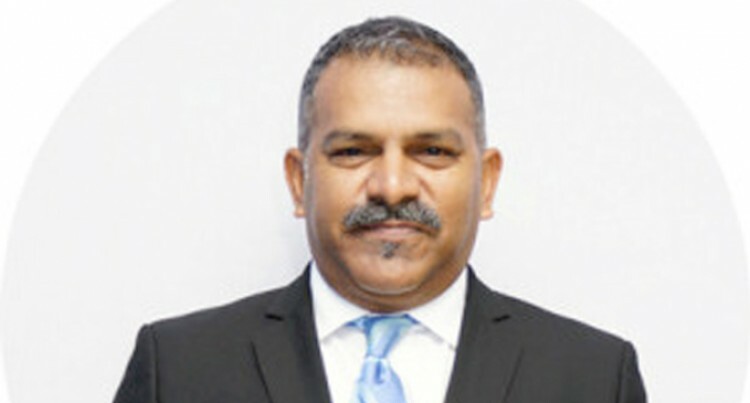 Koya further added that Asia is a key tourism market for Fiji and the tri-sanctioning by the Asian Tour was another achievement. “Asia is a key tourism market for Fiji, so to extend our relationship through the Fiji International and the tri-sanctioning by the Asian Tour is another landmark achievement for the tournament and country. The first three staging of the Fiji International with the ISPS HANDA PGA Tour of Australasia and the most recent tournament alongside the European Tour were wonderful successes and it says a great deal about this success. Especially now that a third world – renowned Tour the Asian Tour, also wants to be involved,” he said. Now into its fourth year, the Fiji International continues to grow and the ISPS HANDA PGA Tour of Australasia is delighted to welcome Asian Tour players to the tropical paradise. PGA of Australia chief executive officer Gavin Kirkman stated that since 2014, the Fiji International has been a marquee tournament on our schedule and it is a testament to the tournament that it continues to grow and attract the attention of the world. Kirkman oversees the ISPS HANDA PGA Tour of Australasia. “The addition of the Asian Tour to the Fiji International will ensure a strong playing field competes in the tournament which has been won by Steven Jeffress, World Number 20 Matt Kuchar and World Number 28 Brandt Snedeker in its first three editions. “The Fiji International is becoming a favourite tournament amongst our players, the tropical destination provides a holiday feel at the world class event and am sure the Asian Tour players will enjoy it just as much,” said Kirkman. The Asian Tour will be sanctioning an event in the Pacific for the first time in its history, which CEO Josh Burack believes is an important milestone for Asian golf. In February, the Asian Tour also tri-sanctioned the ISPS HANDA World Super 6 Perth event alongside the ISPS HANDA PGA Tour of Australasia and European tour. “This is truly a momentous occasion for the Asian Tour and we look forward to having many of our top players take part in the Fiji International. “The tournament will be a tremendous opportunity for our highly talented players to showcase their abilities in a new destination to display the growing strength of Asian golf,” said Burack. Burack further stated that through their partnership with the PGA Tour of Australasia and European Tour, he was confident the tournament would be a great success. “I would like to thank the Fijian Government for its mission to promote golf in the Asia Pacific region and also to the PGA Tour of Australasia and European Tour for inviting us to be a sanctioning party. Fiji has a reputation as a world-class holiday destination, so I will not be surprised if many of our members bring their families to the Fiji International to sample what the country has to offer while our players take part in this marquee tournament,” stated Burack. The inaugural Fiji International in 2014 signaled Fiji’s arrival onto the professional golfing scene, with the Fijian Government, Fiji Tourism and Fiji’s number one player, Vijay Singh, all making a push to put their country on the lucrative world golfing map. Since then the tournament has established a reputation amongst the world’s best golfers as a must-attend event for themselves and their families. Now that the Fiji International has expanded as a tri-sanctioned event, it has cemented its position as one of the top events in the South Pacific region. The tournament also boasts some of the most unique hospitality options in world golf with the par-three fourth hole providing the perfect vantage point to watch the golf, whilst socialising on the beach. The European Tour’s chief operating officer Keith Waters stated that they were delighted that the Fiji International returned to the European Tour’s international schedule for the second consecutive year in 2017, and the tournament would once again provide vital playing opportunities for our members. “We have a very strong relationship with the Asian Tour through our strategic alliance, so to have them join us and the PGA Tour of Australasia in tri-sanctioning this event will ensure this year’s edition builds on the success of the 2016 tournament,” added Waters.